Over the past two months shares of gold (NYSE:GLD) and Apple (NASD:AAPL) have had a sizable bite taken out of their share price. Active traders along with the longer term investors have had a wild ride this fall watching these investments slide to multi month lows. The big question is when will gold and apple shares bounce? Here we are again with another election behind us and Barack Obama in the White House again. Many think this means four years of the same thing… Printing, Inflation and higher stock prices. Is this good or bad for Americans or the world for that matter? I doubt it, but who really knows and who cares because there is nothing anyone can do about it now. 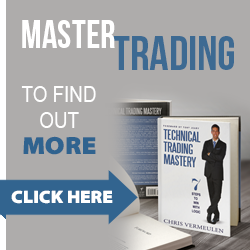 So buckle up your seat belt and focus on trading and investing with major trend both within the United States and abroad using exchange traded funds. Currently the broad stock market and commodities are in a full blown bull market so the focus should be to buy the dips until proven wrong. 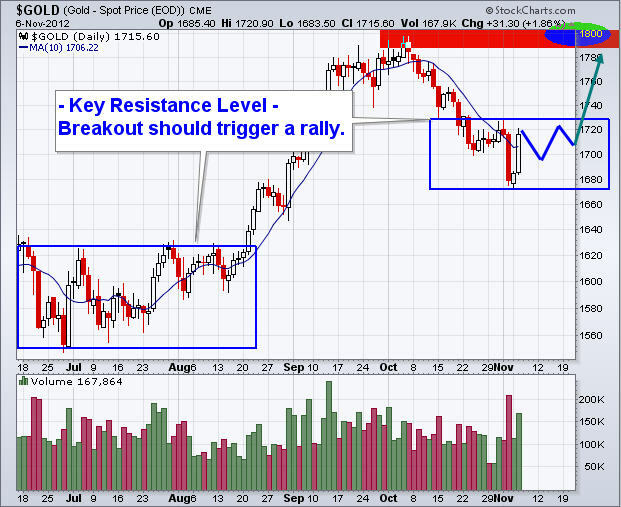 Below are some charts showing the important breakout levels for Apple, metals, oil and key indexes like the Russell 2000. Be aware that during pullbacks which last more than a month which is the market has done, some of the biggest drops in price happen just before prices bottom… Scaling into positions is the key to minimal draw downs. During August and September investors flooded the gold market in anticipation of QE3. Since then gold has been drifting lower with profit taking and because of some slowly strengthening economic numbers in the USA. Gold looks ready for a run to the $1800 but may stabilize here for a few weeks first. The price of silver moves similar to that of its big yellow sister (Gold). 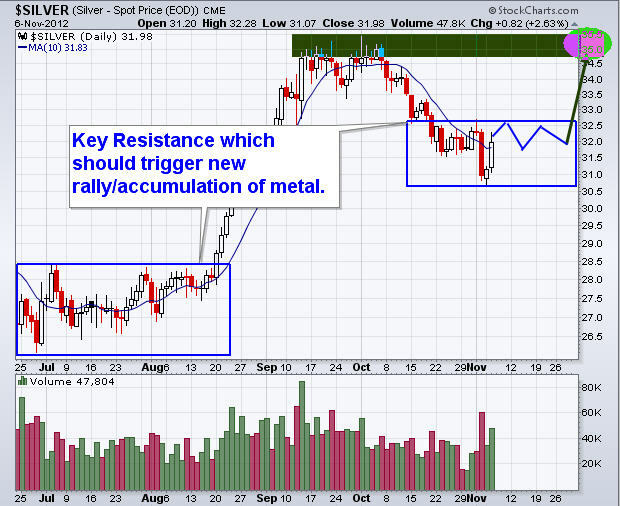 While the charts look the same silver is highly volatile and can super charge your portfolio when metals rally. 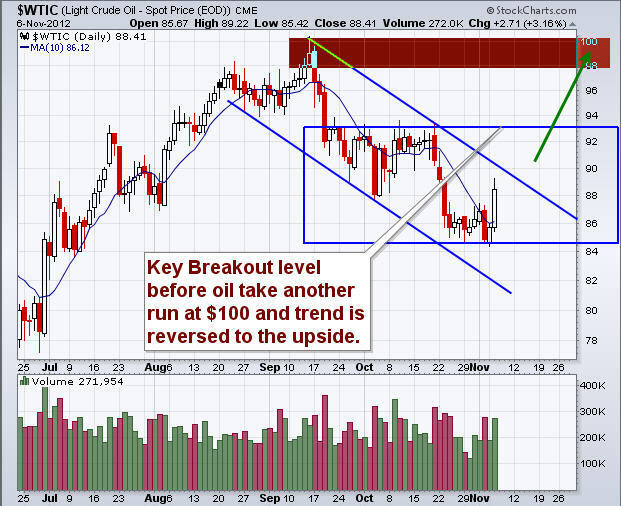 Crude oil has been correcting for a couple months also and still has a lot of work to do before a new uptrend to be triggered. Currently oil is trading in the middle of is trading range but once the price breaks above $93 per barrel a good investment fund would be USO. 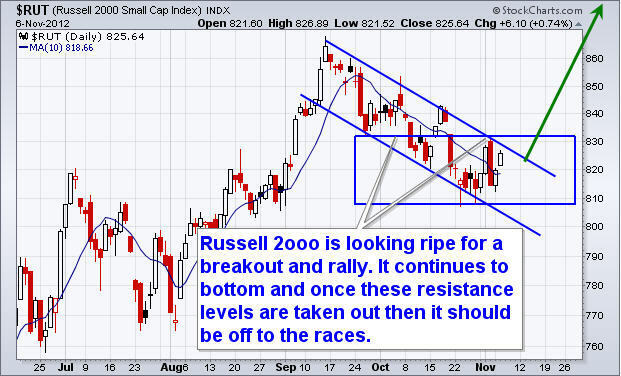 Small cap stocks typically lead the broad market in both directions. 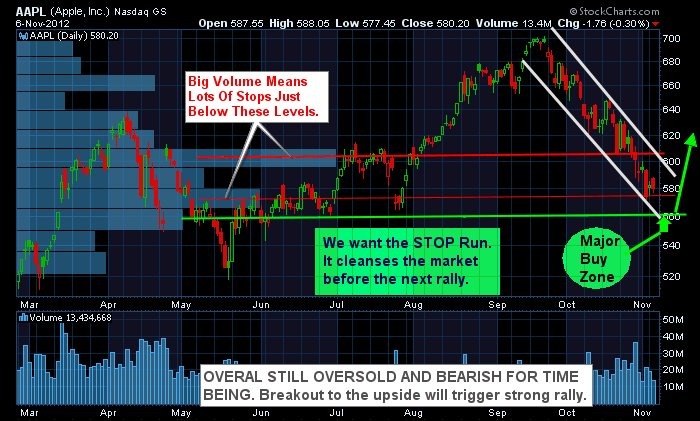 They are the first to rally and the first to rollover and sell off. The major indexes like the DOW, SP500 and NYSE have not formed clean chart patterns which is why my focus is on the Russell 2000. Small cap stocks are now showing a rising relative strength compared to the SP500 large cap stocks and this is very bullish for stocks in general. 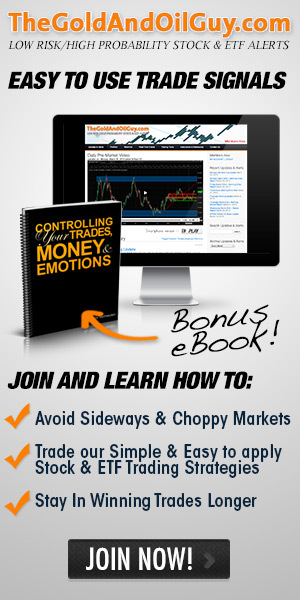 The best way to trade this index is through the exchange traded funds IWM and TNA.